So if you decided to make your account more secure you can simply set up a two-factor authentication. Make sure you follow all instructions and understand what and why are you doing. If you are unsure about any step, please contact our support service. 3. 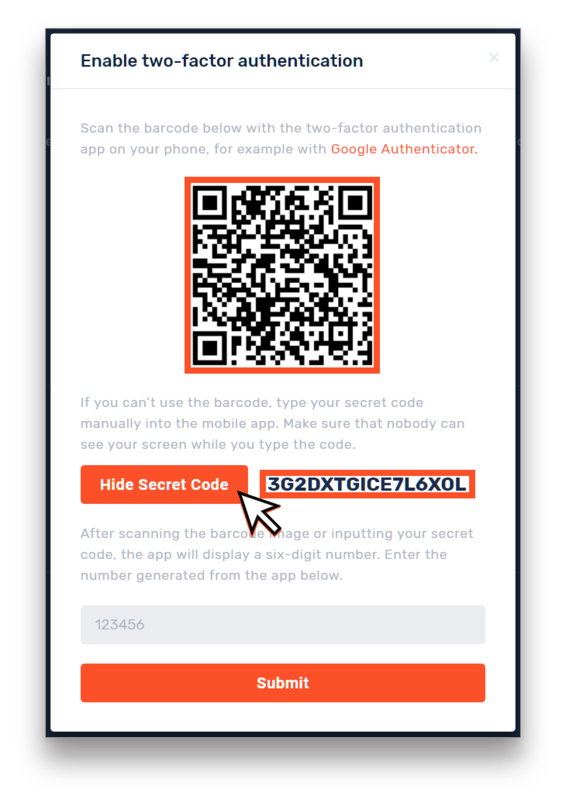 Scan the QR-code with your Authenticator App on your phone, or click "Show secret code" and enter it in your app. After you get a 6-digit code simply fill it in and finish. 4. Important! 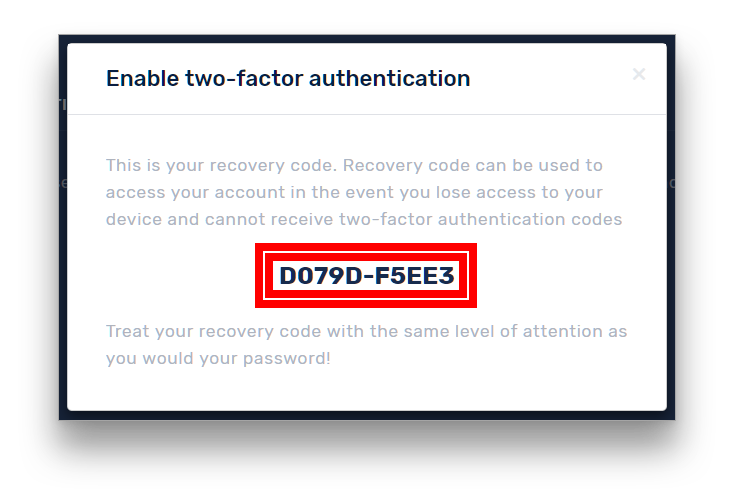 Remember to write down your recovery code you get after QR code confirmation and save it! You can also save the QR code image or the textsecret code, print it or store on a separate device in order to be able to restore the authentificator in case you damage or loose your device! Our support team cannot 100% guarantee that we will be able to retrieve your account after you lost or changed the phone. 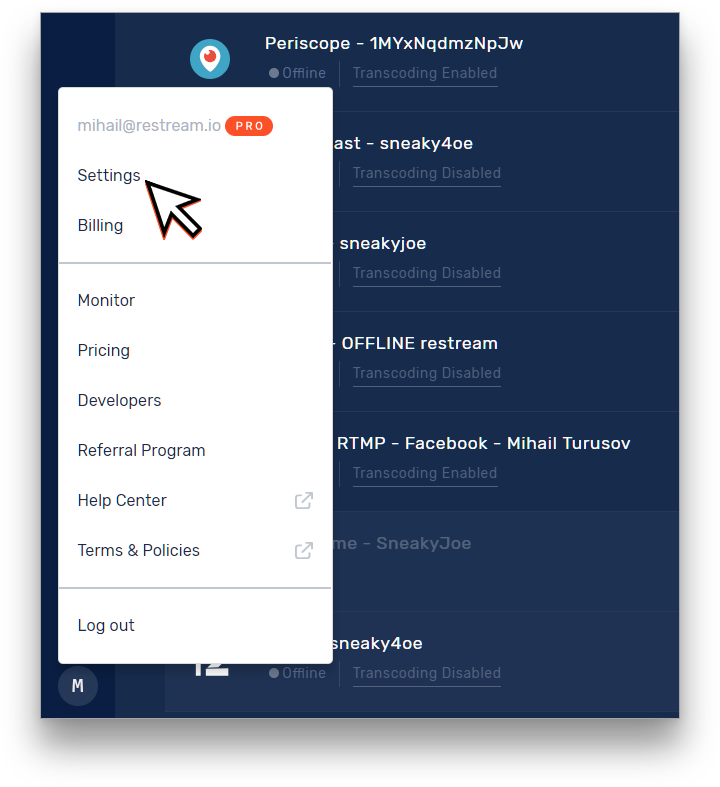 From now on you will require an authentication every time you (or someone else) tries to login with your account.